Over at the Ignite conference, Microsoft has revealed four new laptops which run Windows 10 S and are designed specifically for ‘firstline workers’ (frontline staff) in conjunction with the company’s new Microsoft 365 F1 plan. The latter is a new enterprise plan for Office 365, and the laptops in question come from Acer, HP and Lenovo. 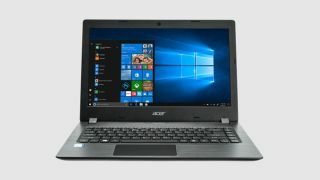 Acer has a pair of notebooks which are scheduled to emerge at some point in the fourth quarter, namely the Acer Aspire 1 and Acer Swift 1, both of which will be ultra-slim models. The Aspire will be a 14-inch laptop and the Swift a 13-inch model, retailing at $299 (£220) and $349 (£260) respectively. HP’s Stream 14 Pro will likely be the first Windows 10 S notebook of the bunch to emerge, though, with the vendor planning to release the device next month. It’s a 14-inch ultraportable priced at $275 (£205), and will be the cheapest of the lot. Lenovo’s V330 will likewise be a 14-inch ultra-slim laptop with a price tag of $349 (£260), but this one won’t appear until February of next year. The idea is that the notebooks are easy to set up, deploy and manage, with Windows 10 S ensuring the machines are fool-proof and inherently far more secure against the likes of cyber-attacks, malware and other threats (only software vetted by Microsoft and downloaded from the firm’s app store can be installed on them). And in terms of easy management, Microsoft notes in a blog post: “Windows 10 S was designed with Modern IT in mind, including cloud-based identity and management with Azure Active Directory and Microsoft Intune.